With most of the precincts in, the tax ended up failing by roughly 58 percent to 41 percent. It lost overwhelmingly in St. Louis and St. Louis County. And it also failed to catch fire in the Kansas City area or in rural parts of the state. While the tax received support from business groups and labor organizations, it sparked opposition from across the political spectrum. Prominent Democrats such as Gov. Jay Nixon spoke out against the measure, while conservative lawmakers like Sen. John Lamping, R-Ladue, panned it as well. It also sparked a backlash in the St. Louis area, especially because the sales tax in some parts of the city and county would have reached 11 percent if it had passed. Members of a group advocating for the proposal’s defeat watched the results come in on Tuesday at the Royale in south St. Louis. Thomas Shrout, the treasurer of a group that opposed the proposal, said in an interview that his organization targeted people who normally would have voted for tax increase – such as voters in the central corridor of St. Louis. Thomas Shrout lead the group opposing Amendment 7. Proponents of the measure contended the state needed to find another method to pay for transportation projects, especially since the gas tax is becoming less reliable and the federal funding situation is iffy at best. Supporters included business groups, organized labor organizations and lawmakers from both parties. The tax also received the backing of groups such as Citizens for Modern Transit, which saw it as a paradigm shift, bringing state funding to mass transit efforts. Some of the St. Louis region’s money, for instance, would have gone toward Metro’s bus and light rail service. It would also have provided operating funds for a proposed streetcar line. In a statement, Missourians for Safe Transportation and New Jobs, Inc. campaign manager Jewell Patek said his group was “disappointed because we see today’s result as a missed opportunity to secure Missouri’s transportation future. Proponents have contended that other methods of funding transportation – such as raising the gas tax or tolling – have polled poorly and may not win approval from a statewide vote. But Shrout said that his group is willing to back another financing method. By any conceivable measure, Missouri doesn’t have a particularly robust election cycle this year. But that doesn't mean that there aren't lessons to learn. Even though this year's primary season featured fewer contested races than usual, the past few months still produced twists, turns and surprises. That’s especially true because a number of ballot initiatives were placed on the August ballot, making up for a relative dearth of competitive legislative contests. Although several issues and races are crowding Tuesday’s primary ballot, the transportation tax amendment has been particularly contentious. The amendment increases the state sales tax, now 4.225 percent, by three-quarters of a cent to fund transportation projects. 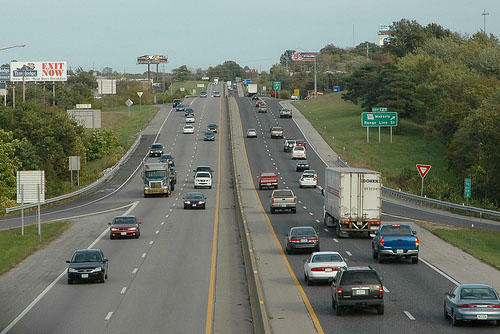 Missourians will vote Aug. 5 on a 0.75 percent sales tax increase for transportation projects. The proposal — commonly known as the transportation tax — would generate billions of dollars over the next decade to fix roads, repair bridges and improve mass transit. The stakes are high. 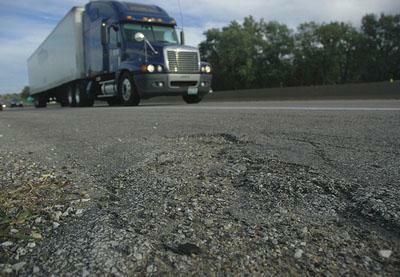 Supporters say Missouri needs more money for its aging transportation infrastructure. With gas tax revenue dwindling and federal funding uncertain, some policymakers see the sales tax as a guaranteed way to fund transportation needs.